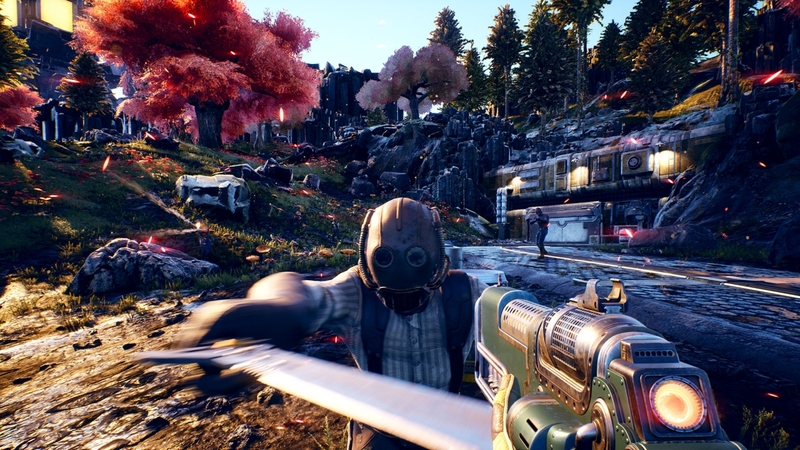 Since its The Game Awards 2018 reveal, Obsidian’s The Outer Worlds hasn’t been able to escape Fallout comparisons. Primarily, this is due to members of its development team being credited with the creation of Fallout. However, Obisidian’s new foray into the RPG space may also be considered a response to Fallout’s perceived decline in quality, with some fans using The Outer Worlds to malign both Bethesda and Fallout 76. During a recent interview, Obsidian developers made it clear they want this kind of discourse to end. People even said things about our trailer: “Oh man, just slamming it home to Bethesda!” because we said the original creators of Fallout and makers of Fallout: New Vegas. We have storyboards from July that said that. I have no ill will for Bethesda, I love playing Fallout games… We’re not fighting for the same dollars. This isn’t meant to be negative—it can probably be taken as negative. We really enjoyed making Fallout: New Vegas and people really enjoy Fallout: New Vegas. Bethesda is looking to take the Fallout brand in a different direction. There’s nothing right or wrong about that. That’s their choice. They own it, they get to do what they want with it. But in our mind, there are people that enjoy where Fallout was. That is what we wanted to do with The Outer Worlds, to give people that. And you know what? Maybe that’s a bad decision from the standpoint of the number of people that will buy it. I don’t know… People seem to really enjoy what Fallout: New Vegas was, so let’s give them an experience that’s as similar as we can to that. Boyarsky then explained that The Outer Worlds has been in development for several years. As such, it’s impossible for it to have been produced as a response to Bethesda’s latest Fallout endeavors. Furthermore, Boyarsky added, Obsidian isn’t “happy” about audiences thinking their team could put their hearts and souls into a project only to “say something about” another company’s equally Herculean efforts. The Outer Worlds is slated to launch on an unspecified date in 2019 for the PlayStation 4, PC, and Xbox One.